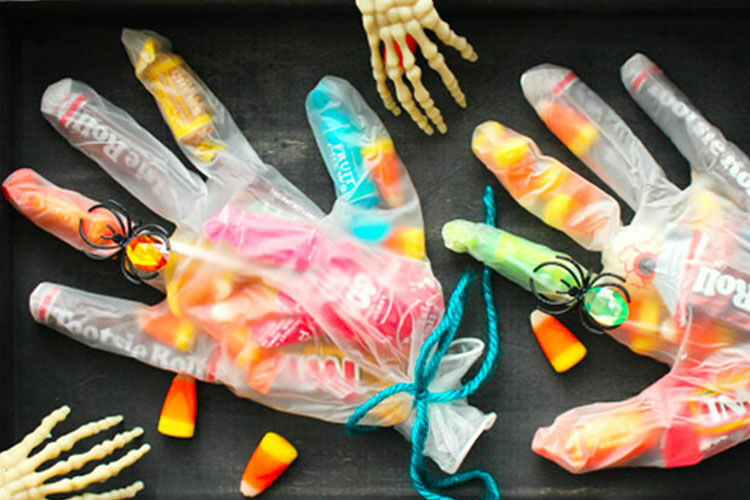 Trick or treat – give the pregnant lady something sweet. 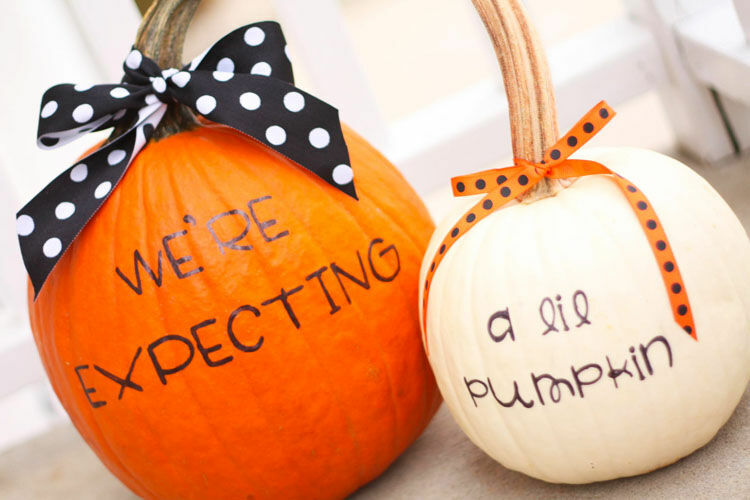 Get those baby bellies ready, All Hallow’s Eve approaches and something bumpy this way comes. 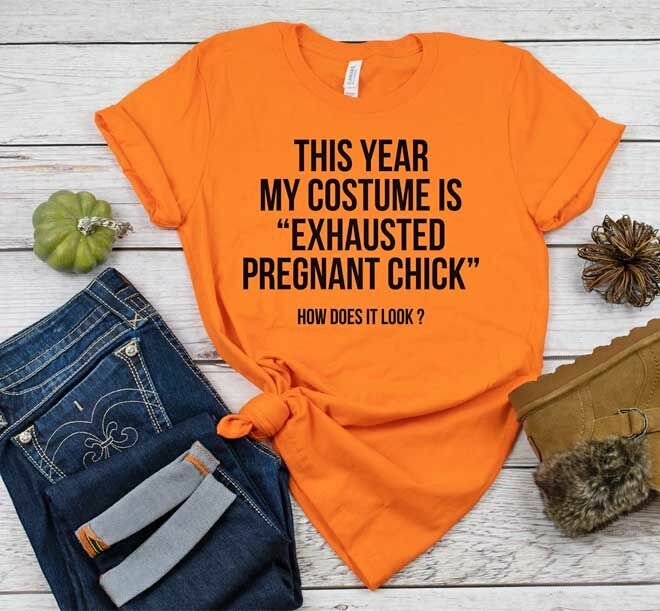 If you’re pregnant, you already have the perfect Halloween accessory to dress up for trick or treating. 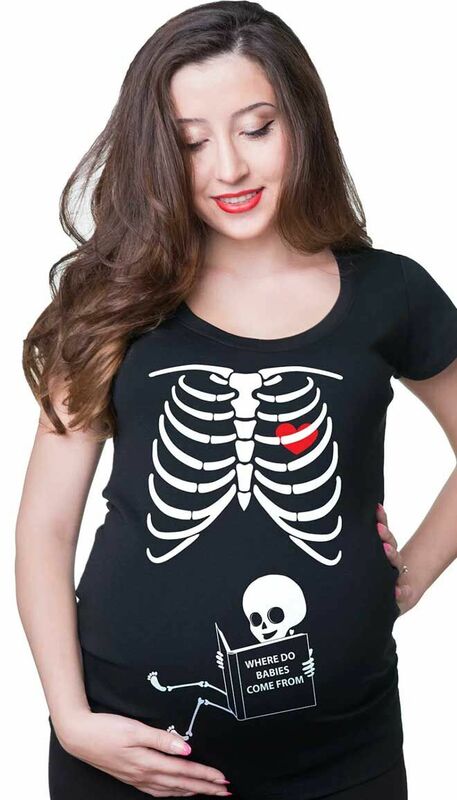 So it’s time to slap on a cheeky maternity Halloween shirt and get into the spirit of the day (pardon the pun). You’ll be super comfy too. 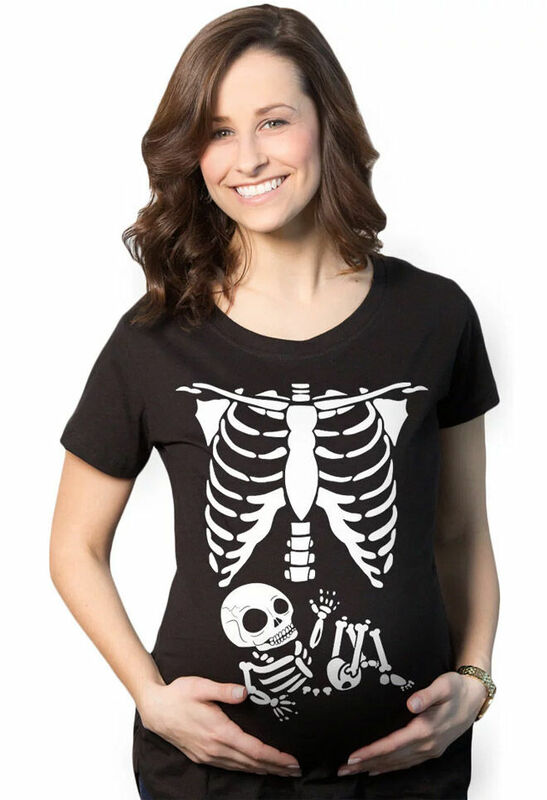 Here are the best maternity t-shirts for Halloween. 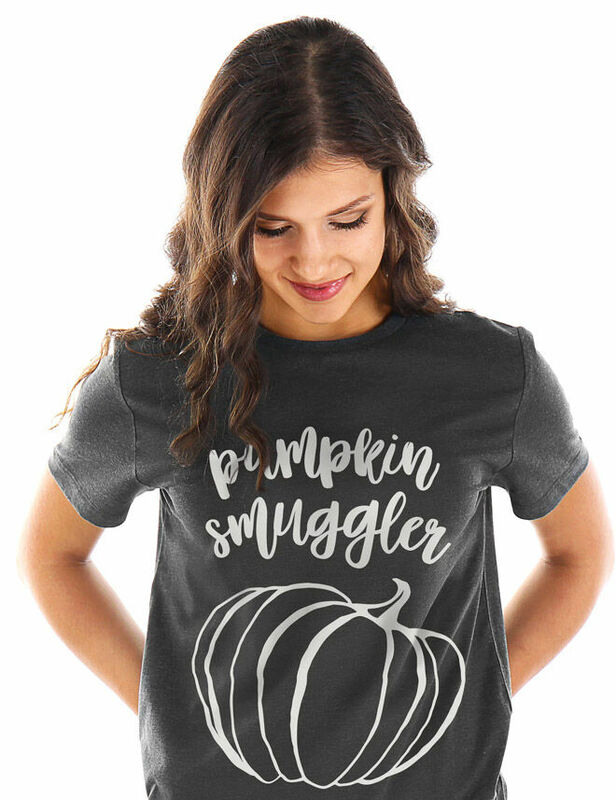 There’s a pumpkin under here ($28.16): Nothing to see here, just a belly full o’ pumpkin. 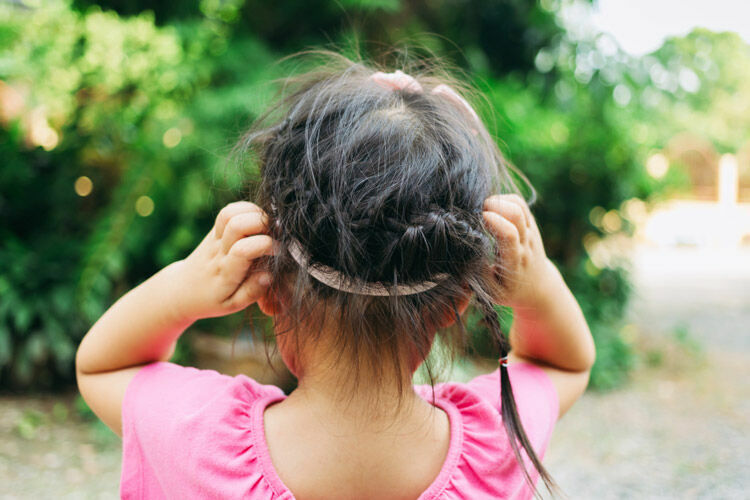 Bubble, bubble ($29.26): Naw, there’s no trouble ahead, just something adorable baking away. 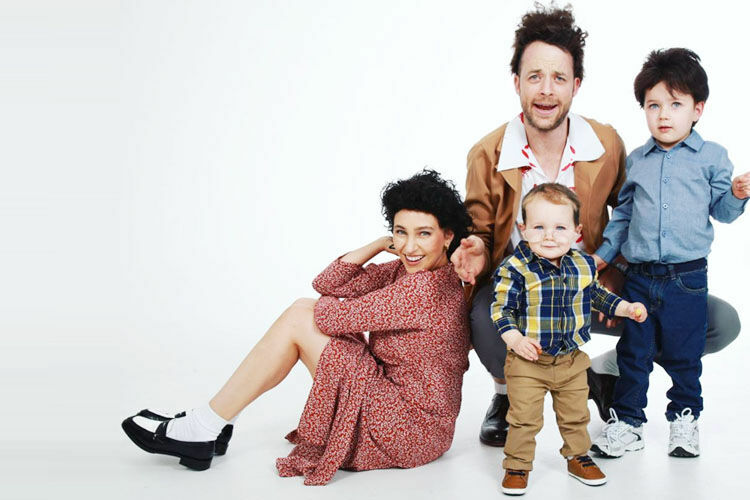 Mum of Frankenstein ($23.92): Because the Bride of Frankenstein is so Halloween last year. 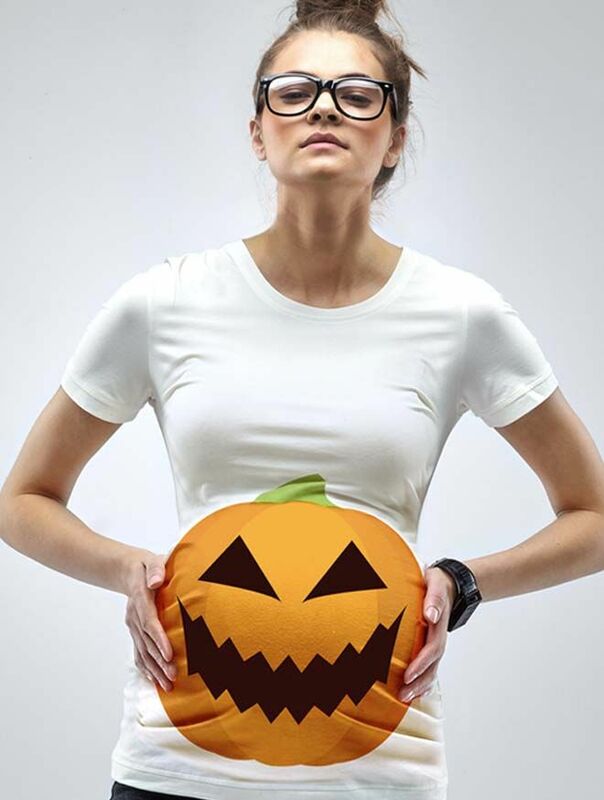 His name is Jack-O’-Lantern ($48.95): The perfect costume for mummas carrying out front. Wazowski! 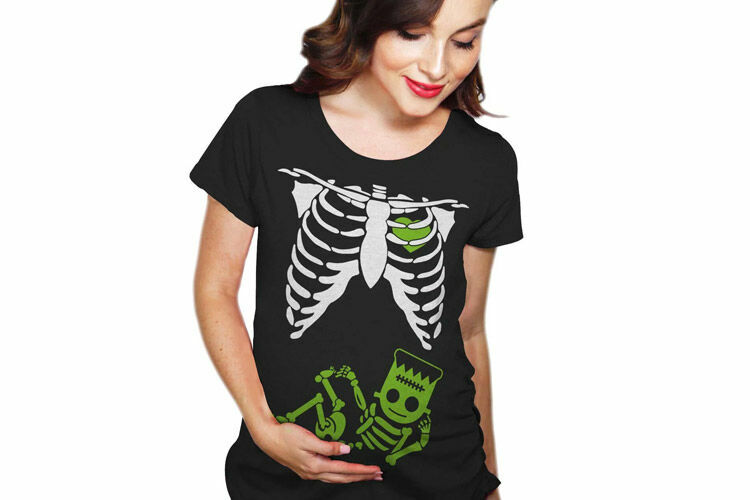 ($23.92): If you’re into cute rather than creepy, Mike has your bump covered. Literally. 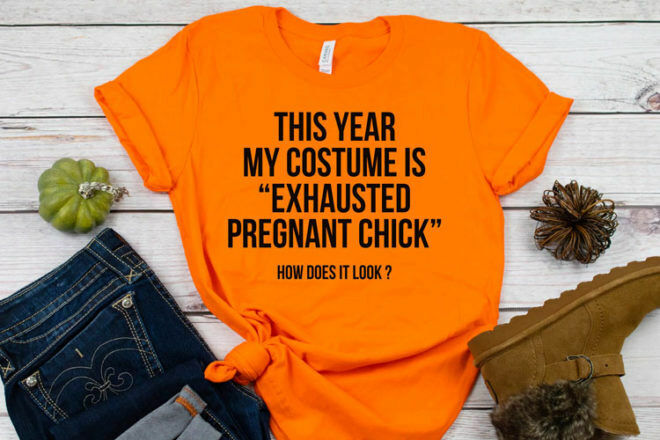 Nailed it ($35.20): Is it ok to wear a Halloween t-shirt for the entire nine months? Hello in there! ($23.92): Funny cause it’s true (even if not quite to scale). 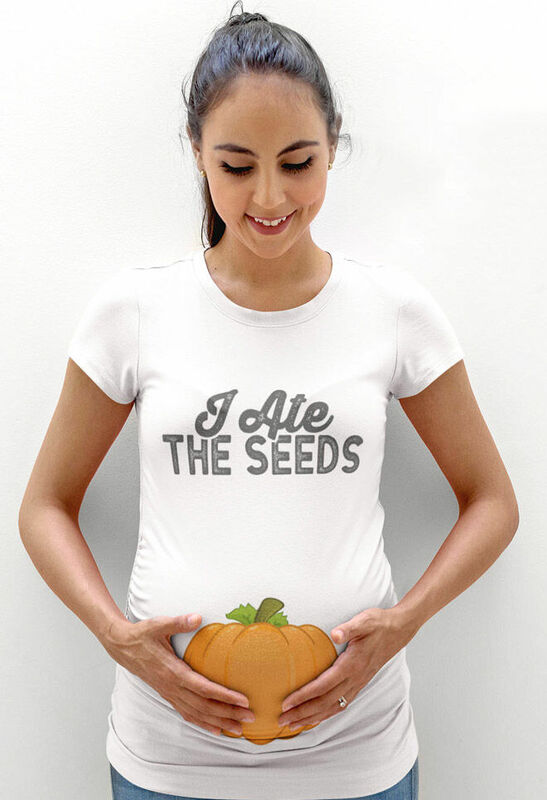 Lesson learnt ($36.60): Mum always warned you not to eat the seeds. 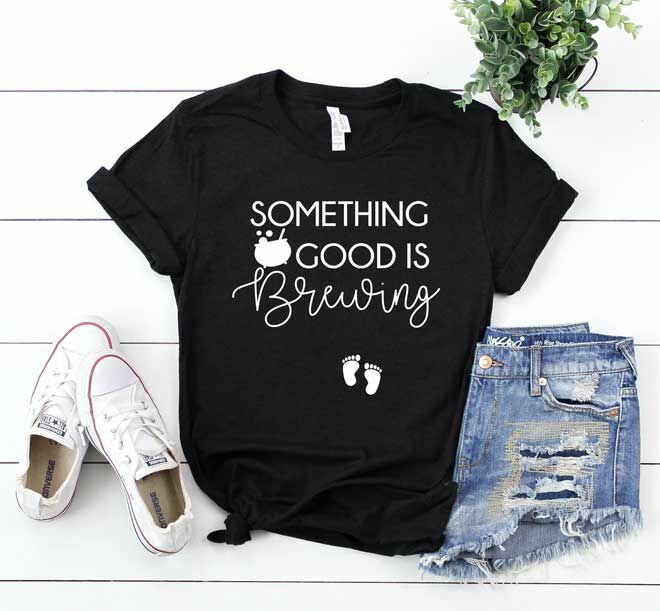 Education starts early ($28.09): If they’re going to stare at your belly, they may as well get a laugh! 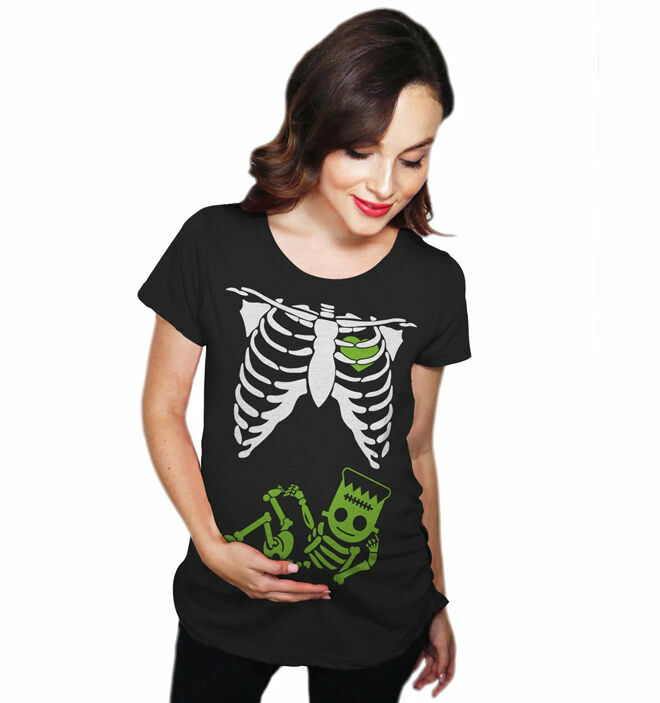 Tatts cool ($60.54): If you don’t mind baring a little baby belly, the mesh ‘tattoo’ on this clever tee gives an extra something to your Halloween kit. 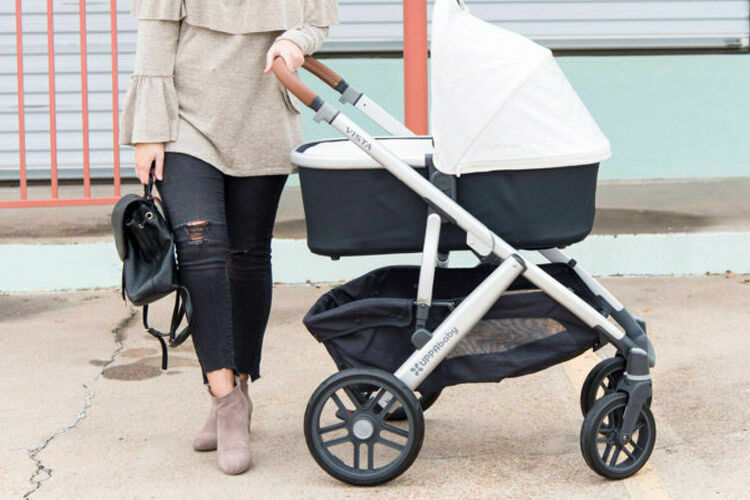 Now that your Halloween costume is sorted, it’s time to chat with other preggos who are also dressing up bumps for the festivities! 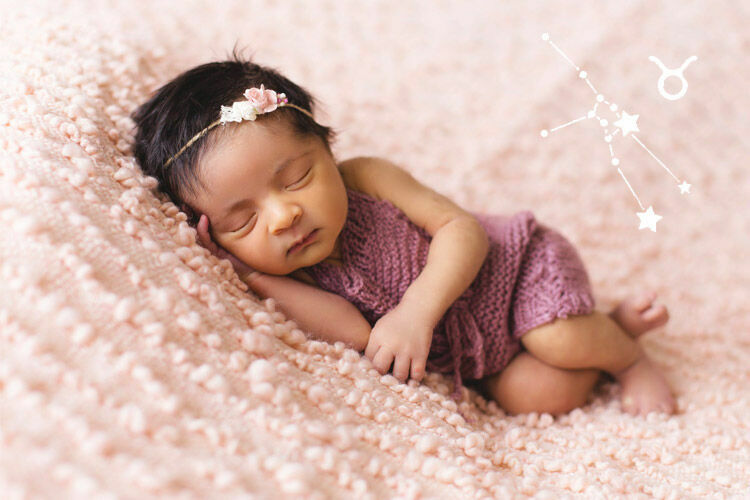 The Mum’s Grapevine closed pregnancy groups are safe and supportive Facebook groups based on the season you’re due. 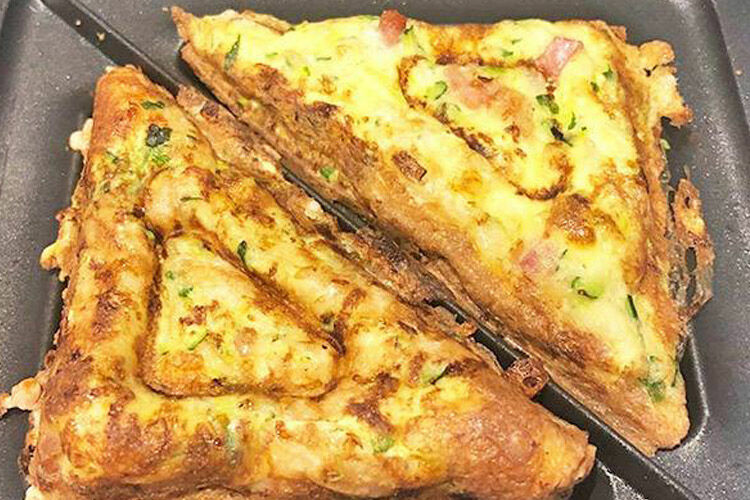 Click below and join your group today.